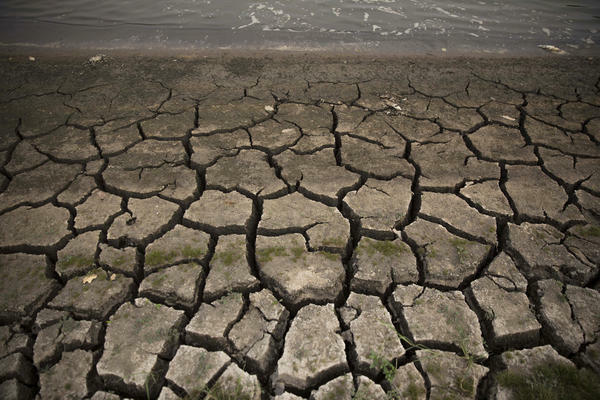 A dried-out reservoir in Thailand. New research suggests that global warming could cause temperature swings to get unusually extreme. And the regions where the biggest swings will occur are among the poorest in the world — and the least responsible for the greenhouse gas emissions that cause global warming. Climate scientists already know that as the planet warms, there's a bigger chance of extreme weather: bigger hurricanes, for example, or heavier rainfall. But a temperature roller coaster could be on the way as well, according to the study, which appears in the journal Science Advances. Sebastian Bathiany at Wageningen University in the Netherlands says his calculations indicate that variations in temperature will increase — the normal swings between high and low temperatures will get wider. The variations aren't apparent yet but will be in coming decades, Bathiany says. This won't happen everywhere, because different conditions affect temperature in different parts of the world. In the tropics, soil moisture plays a big role in moderating or "buffering" temperature swings, according to Bathiany. It's kind of like the so-called Goldilocks effect — moisture keeps temperatures somewhere in between very hot and very cold. But a warming atmosphere dries out the soil. "And when you have drier conditions," says Bathiany, "then the temperature fluctuations are not buffered as much any more, so you have larger temperature variability." 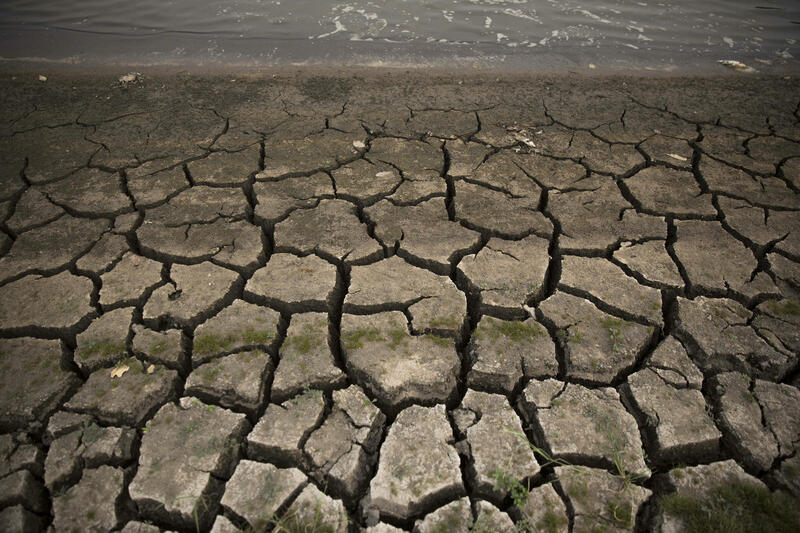 Bathiany says if the planet continues to warm, temperature variability will be especially pronounced in the Amazon Basin and parts of Africa and Southeast Asia — wet places where a warming climate is drying things out. Many countries in these regions "are not only poorer to deal with the impacts," he says, "but also in this case the impacts will be worse" than in other parts of the world. Worse because temperature variation in places like Europe and the U.S. isn't expected to change much. Variation in northern latitudes isn't dependent so much on soil moisture but on atmospheric weather patterns. In fact, temperature variability may actually decrease in those regions and in the Arctic — but with a notable exception: Summertime in the U.S. could see more temperature extremes. Extremes, in fact, seem to be part of what a warmer world will bring. Another new study found that California will see more extreme wet and dry periods this century. They're calling that the "whiplash" effect of global warming. All right, it's been pretty cool this year in many parts of the country. You might know that firsthand. This, of course, is even though other parts of the world are warmer than usual. Now, scientists say this is normal. There are always natural ups and downs, even though the planet overall is warming. But new research suggests that temperature swings in coming decades could get more extreme. Here's NPR's Christopher Joyce. CHRISTOPHER JOYCE, BYLINE: Climate scientists say the warmer the earth gets, the more extreme the weather can get - bigger hurricanes, heavier rainfall. And apparently, it also means temperature may vary more than it used to. Sebastian Bathiany at Wageningen University in the Netherlands says it has to do with moisture in the soil. Soil moisture has a kind of Goldilocks effect on local temperature, keeping it not too hot and not too cold. SEBASTIAN BATHIANY: And when you have drier conditions, then the temperature fluctuations are not buffered as much anymore, so you can have larger temperature variability. JOYCE: But Bathiany says if the planet continues to warm, temperature variability will be especially pronounced in the tropics - wet places where a warming climate is drying things out. The research appears in the journal Science Advances. Bathiany says that this temperature roller coaster will have its biggest effect in some of the world's most-vulnerable countries. BATHIANY: They are not only poorer to deal with the impacts, but in this case, also, the impacts will be worse. JOYCE: Worse because temperature variation in places like Europe and the U.S. is not dependent so much on soil moisture. In fact, variability may actually go down in these regions, but with one notable exception. Summertime in the U.S. could see more temperature extremes. Extremes, in fact, seem to be part of what a warmer world will bring. Another recent study found that California will see more extreme wet and dry periods this century. They're calling that the whiplash effect of global warming. Christopher Joyce, NPR News. (SOUNDBITE OF MUSIC) Transcript provided by NPR, Copyright NPR.